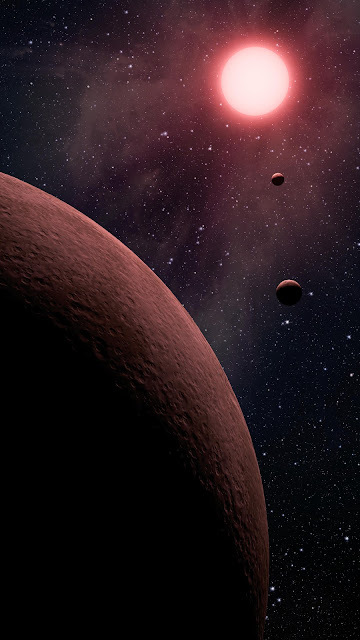 June 19, 2017: NASA’s Kepler space telescope team has released a mission catalog of planet candidates that introduces 219 new planet candidates, 10 of which are near-Earth size and orbiting in their star's habitable zone, which is the range of distance from a star where liquid water could pool on the surface of a rocky planet. Additionally, results using Kepler data suggest two distinct size groupings of small planets. Both results have significant implications for the search for life. The final Kepler catalog will serve as the foundation for more study to determine the prevalence and demographics of planets in the galaxy, while the discovery of the two distinct planetary populations shows that about half the planets we know of in the galaxy either have no surface, or lie beneath a deep, crushing atmosphere—an environment unlikely to host life. The findings were presented at a news conference Monday at NASA's Ames Research Center in California's Silicon Valley. This is the eighth release of the Kepler candidate catalog, gathered by reprocessing the entire set of data from Kepler’s observations during the first four years of its primary mission. This data will enable scientists to determine what planetary populations—from rocky bodies the size of Earth, to gas giants the size of Jupiter—make up the galaxy’s planetary demographics. To ensure a lot of planets weren't missed, the team introduced their own simulated planet transit signals into the data set and determined how many were correctly identified as planets. Then, they added data that appear to come from a planet, but were actually false signals, and checked how often the analysis mistook these for planet candidates. This work told them which types of planets were overcounted and which were undercounted by the Kepler team’s data processing methods. “This carefully-measured catalog is the foundation for directly answering one of astronomy’s most compelling questions—how many planets like our Earth are in the galaxy?” said Susan Thompson, Kepler research scientist for the SETI Institute in Mountain View, California, and lead author of the catalog study. It seems that nature commonly makes rocky planets up to about 75 percent bigger than Earth. For reasons scientists don't yet understand, about half of those planets take on a small amount of hydrogen and helium that dramatically swells their size, allowing them to "jump the gap" and join the population closer to Neptune’s size. Ames manages the Kepler missions for NASA’s Science Mission Directorate. NASA's Jet Propulsion Laboratory in Pasadena, California, managed Kepler mission development. Ball Aerospace & Technologies Corporation operates the flight system with support from the Laboratory for Atmospheric and Space Physics at the University of Colorado in Boulder.